Well I finally had a day off, it’s been a while after the long summer rush of remodeling. I wanted to make something yummy and satisfying with a pow of flavor to celebrate As usual after a long week the refer is pretty bare. So I started digging around to find some ingredients. Well I remembered I have a cache of Ancho Chilies that will get us through the next nuclear war, so I thought this might be a good time to chisel away at our stockpile. Really wanted to make something simple, not really knowing, I started out seeding and roasting the chilies in a pan on the stove. MMMM the aroma of the sweet chilies filled the room. After 15-20 minutes, decided to get them to the food processor and pulverization them. I wanted to make some sort of sauce but I wanted to keep it thick. Next I just kept adding a tablespoon of hot water at a time until I had what looked like an emulsion. 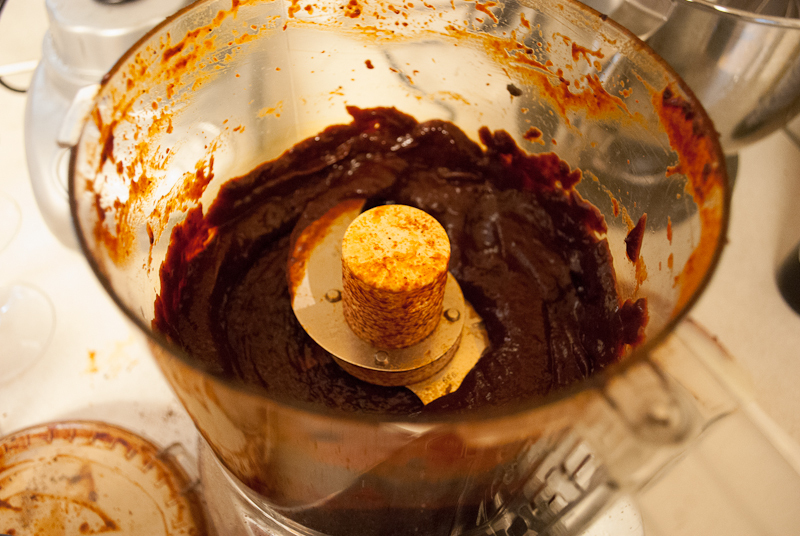 Then a couple teaspoons of a high quality organic ketchup to smooth it out. And here it was “jam” obviously the best thing for jam are freshly made biscuits oh ya. I forged ahead the making biscuits for the recent success, being a savory mixture, eggs and sausage are the prefect accompaniment. Well here it is, the Breakfast Sandwich with Ancho Chile Jam, but really I am sure this jam would be good on many things like tacos, steak, or even as BBQ sauce. 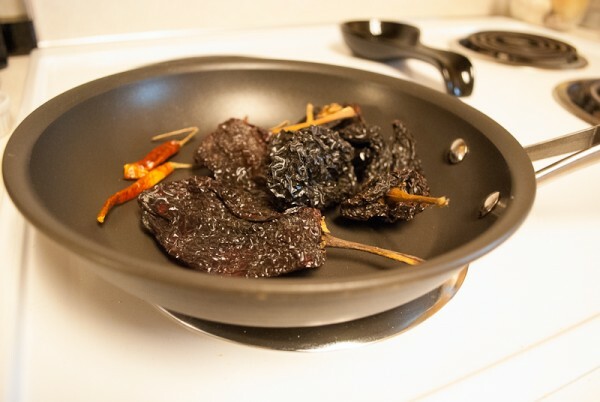 Seed and stem Ancho chilies and roast in pan over medium heat for 15-20 minutes. Place in food processor and pulse until ground in to fine pieces. 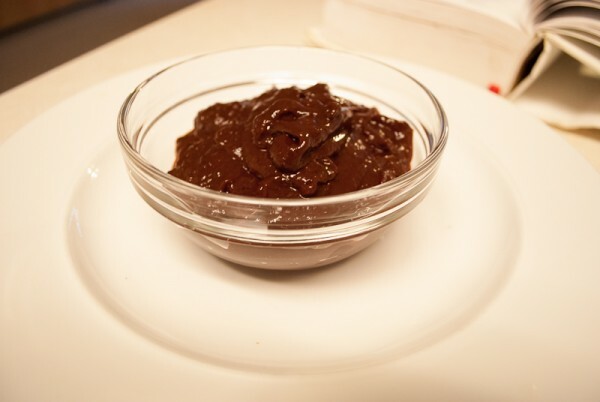 Add hot water one tablespoon at a time and continue scraping down the bowl until emulsified. Add ketchup. Place flour, baking powder, and salt in food processor, pulse several times until thoroughly combined. Cut chilled butter into 1/8″ slices and place in food processor and pulse 5-10 times or until butter is cut in. Add milk pulse 3-5 times or until a ball forms. Dust counter or cutting board with enough flour so that the dough dose not stick. Press dough into 3/4″ thick and cut into 4″ squares. Place onto baking sheet lined with parchment paper and bake at 450 degrees for 15-20 minutes or until golden brown. 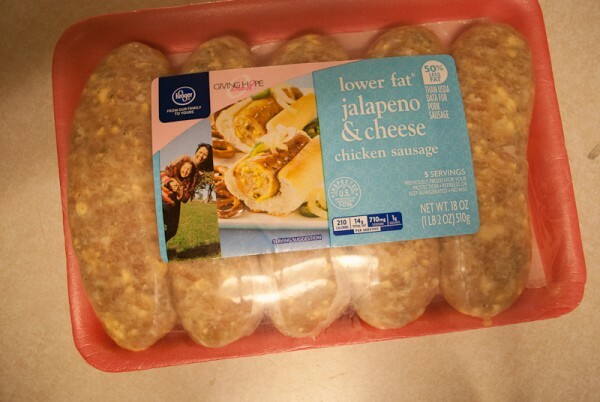 Fry eggs and sausage. 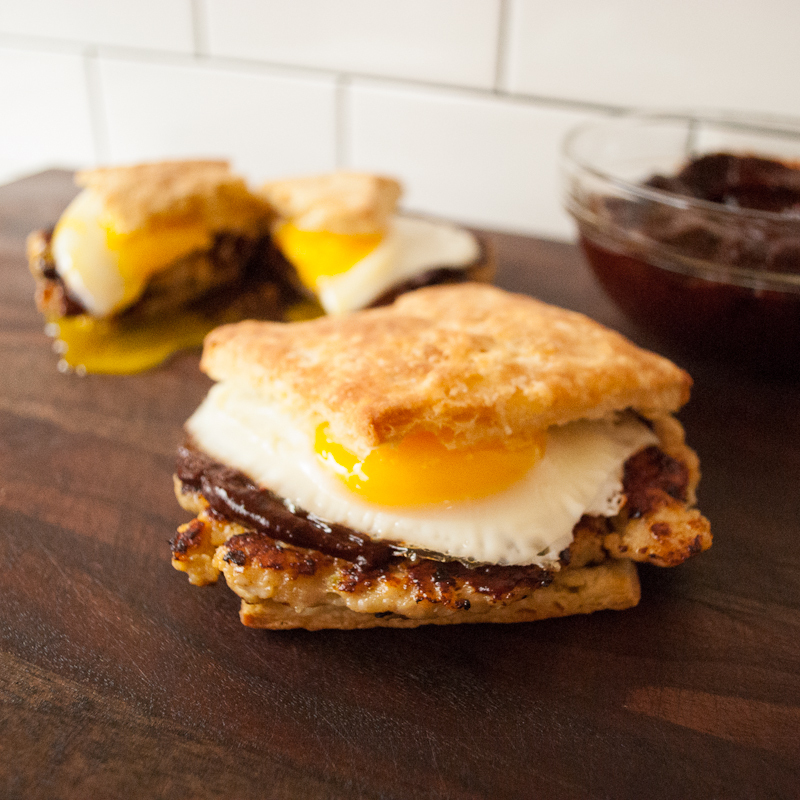 Cut biscuits in half layer sausage then spread Ancho jam, egg and other half of biscuit. Enjoy!! Hey Tif, Will you post those Halloween cookies you brought to work? Missed Ya today, know ya didn’t miss me but that’s OK. See Ya Monday?